Better late than never as they say. 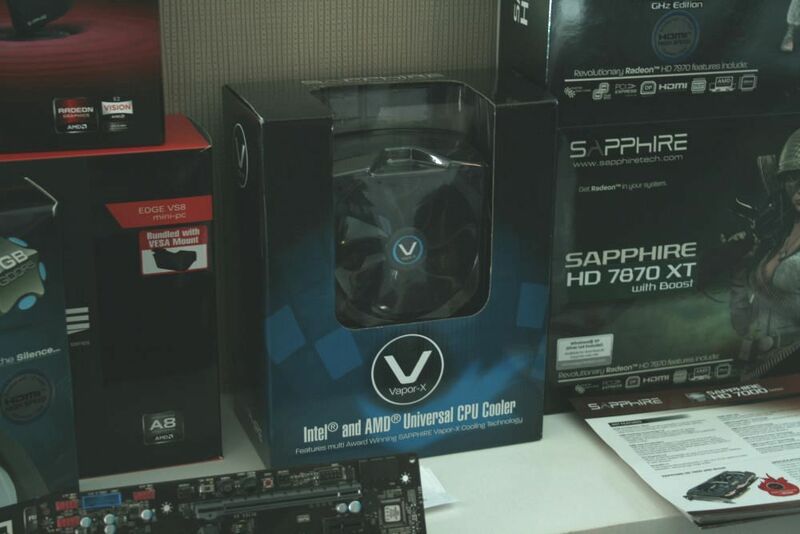 With the flu epidemic striking hard throughout the United States, Overclockers’ fearless editors are not immune. After battling the illness for about a week after returning home, with the help of chicken soup and a heavy dose of Battlefield 3, I’m happy to bring you more from CES 2013. 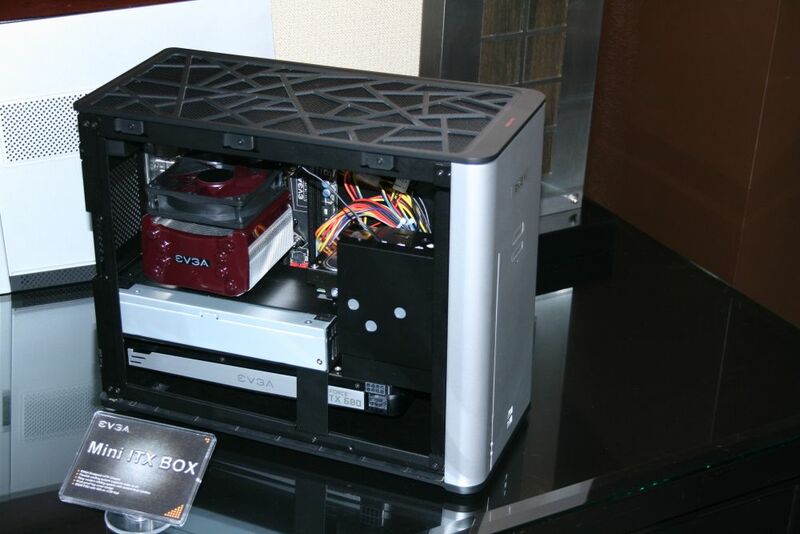 In this installment, I bring you just a taste of what EVGA, ASUS, Rosewill and Sapphire had to offer. Being in a time period where new CPUs and GPUs are a few months away, there wasn’t much brand spanking new in the way of motherboards and GPU’s, but still plenty of eye candy for PC enthusiasts to marvel at. 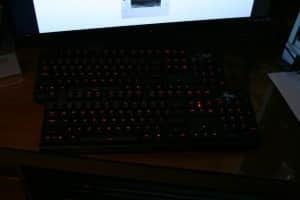 Like a lot of others here, due to the timing/release dates of Intel, AMD, and Nvidia, there is not much truly new to speak of. 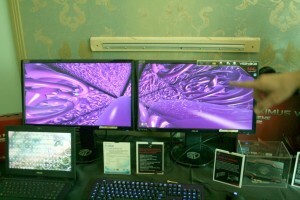 That said, Ivy Bridge-E will be coming out sometime in 2013 (Q3?) 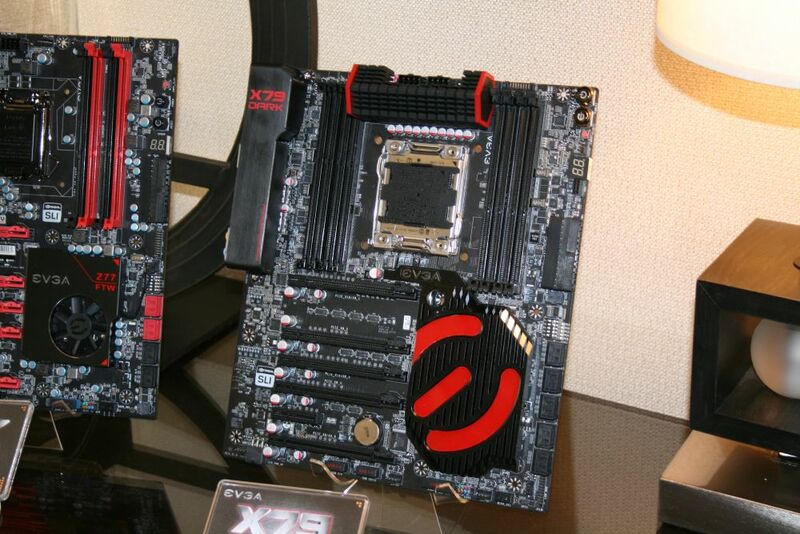 and EVGA has refreshed at least one board in their X79 lineup, and unveiled the X79 Dark. 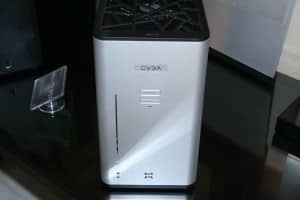 They will also be releasing a lower wattage line of PSU’s in the near future, starting out with much lower wattage models than their monster SuperNova that our very own BobNova reviewed a couple months ago. 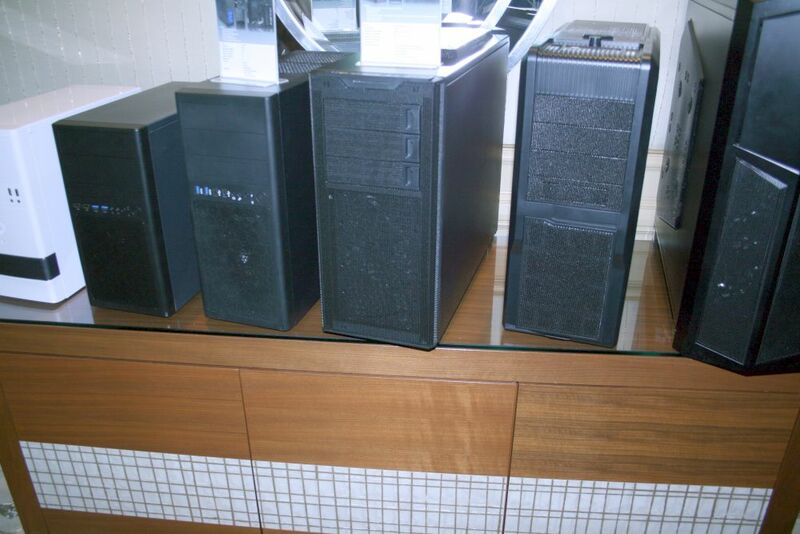 Last, but not least, are the mini PCs they are bringing out. 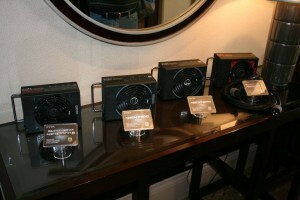 These will feature an ITX form factor using their Stinger ITX board, and a pico PSU. Asus had a few more products than others on display, so we have a couple of things to show you. First up will be a new PCIe based SSD, which ASUS has dubbed ‘RAIDR’. This is due out 1st half of 2013, and that’s all we were told. No speeds, nothing. 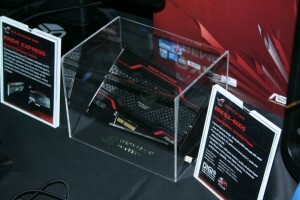 I’m hopeful however, this can compete with OCZ’s Revo drives as far as IOs and throughput. 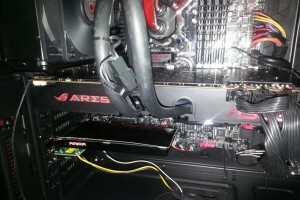 Another cool, and limited (1000 units) item is the ARES GPU. This is 2 HD 7970 GPU cores on one PCB, and features attached water cooling. 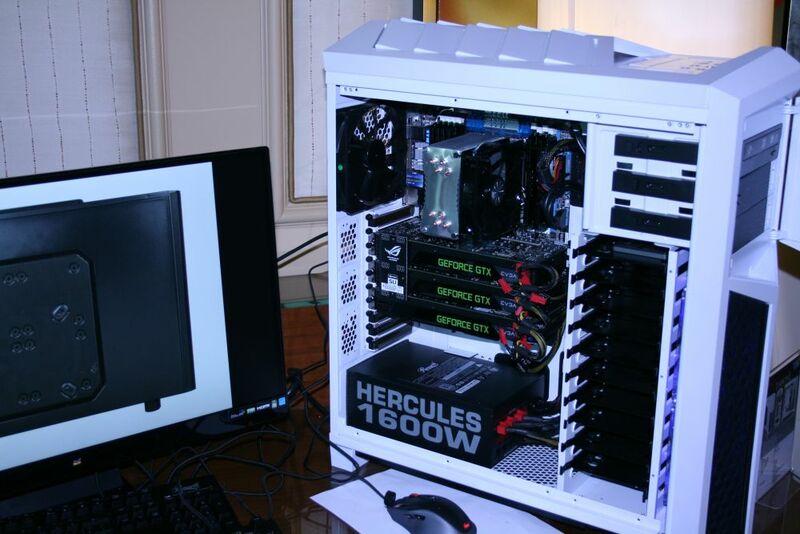 This is both an impressive and costly beast (rumored at $1500), and what would undoubtedly be king of the hill in GPU land. 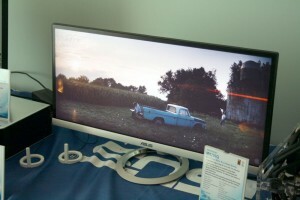 Next up is a monitor, the VG248QE, which is a 144 MHz refresh rate IPS panel at 1920×1080 resolution. Pictured next is an ITX sized motherboard, the E2KM1I- Deluxe. 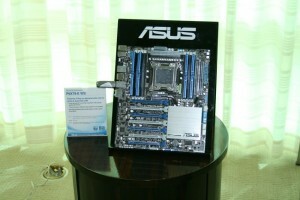 Following that is ASUS’ refresh of the X79 platform, the P9X79-E WS. 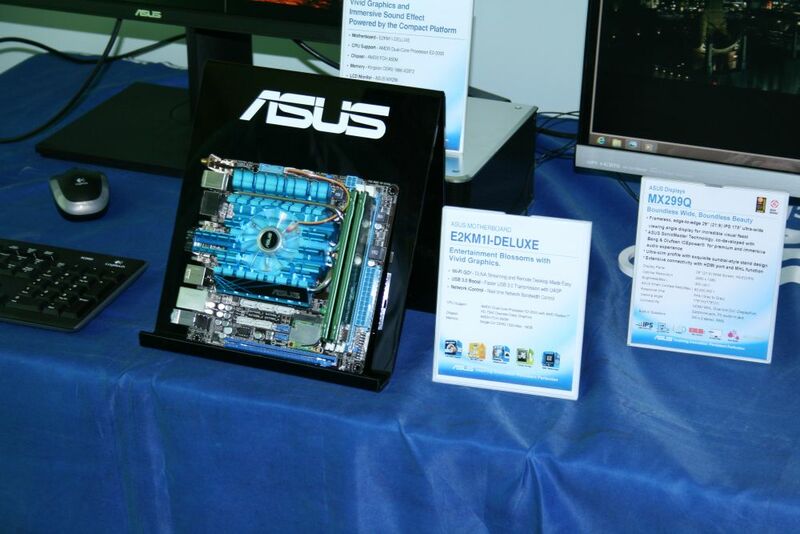 One of the neat features of this motherboard is that you can increase performance of HDDs by adding SSDs. While this isn’t new technology on its own, the fact that you can aggregate performance by adding even more SSDs to the mix is. Last up is a really cool widescreen (21:9 aspect ratio) monitor, the MX299Q. 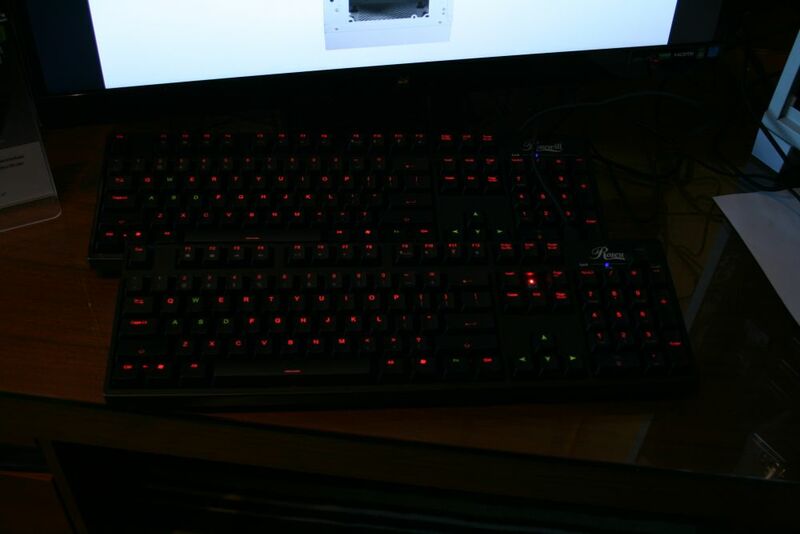 Rosewill these days sells everything but the kitchen sink…but of course at Overclockers we are going to focus on the items most relevant to us. You will see a new full tower case in the Rosewill Throne, a back lit mechanical LED keyboard, USB multiple drive enclosures, and even more cases. Sapphire, like most others, didn’t have much shiny and new to show us. 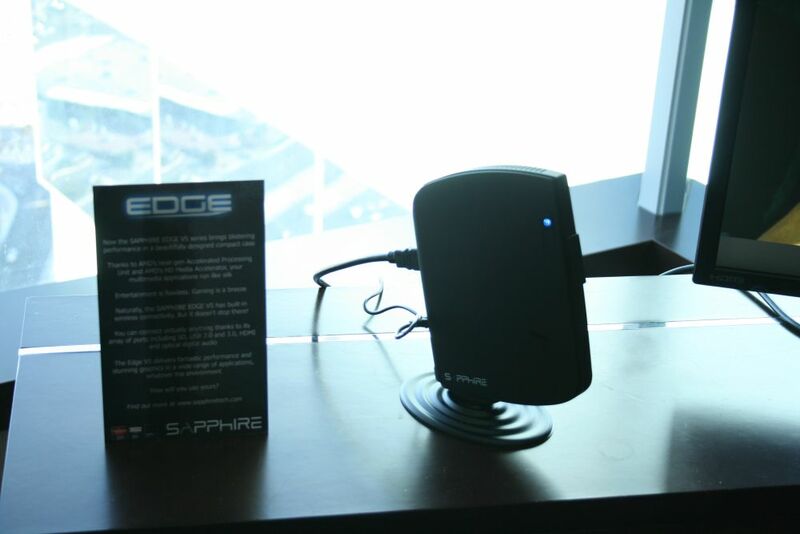 Sapphire has also taken to the ‘shrinking PC’ market and has worked with Intel to come up with their own very small PC, dubbed the Sapphire Edge. 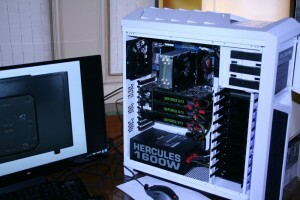 The other item that was new, to me at least, was their CPU cooler based on their own VaporX technology. 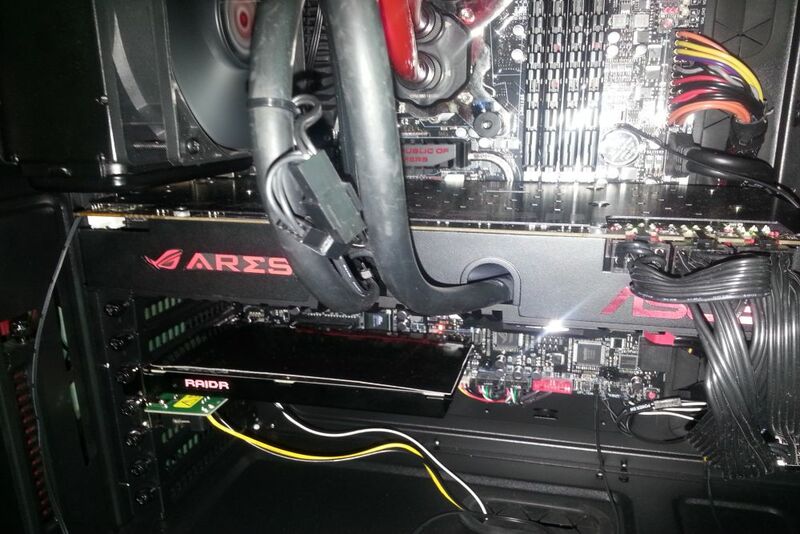 This cooler is compatible with both AMD and Intel sockets. 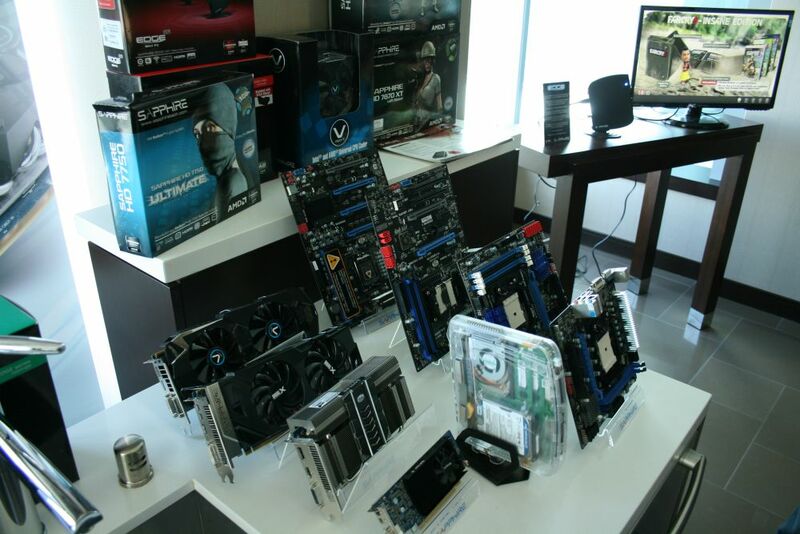 The last picture shows various Sapphire motherboards and video cards. Most representatives let us know that good things come to those who wait, so patience will be key over the next few months while AMD, Intel, and NVIDIA perfect the next generation CPUs and GPUs. 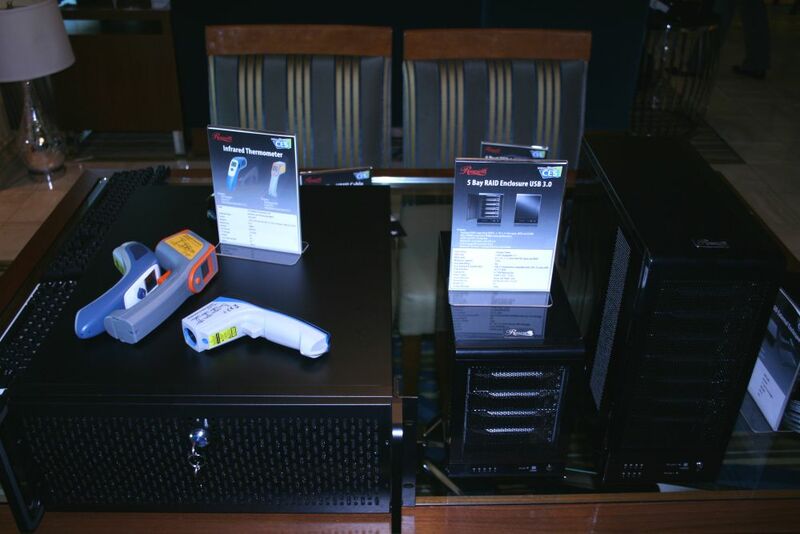 In the meantime, manufacturers will focus on power supplies, cases, and other unique products to diversify their product lineups.